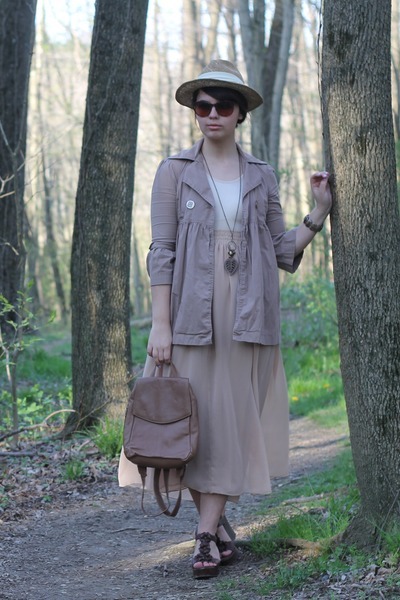 Remixed item- Tan Trench Coat: Kohl's. It's been a few weeks since I've done one, but I am back with another remix! This time it's a piece that I've probably had the longest time in my closet. Much of the clothing I used to wear I got rid of ages and ages ago because it did not fit my style anymore, however, this piece has carried through for so many of my style transformations. 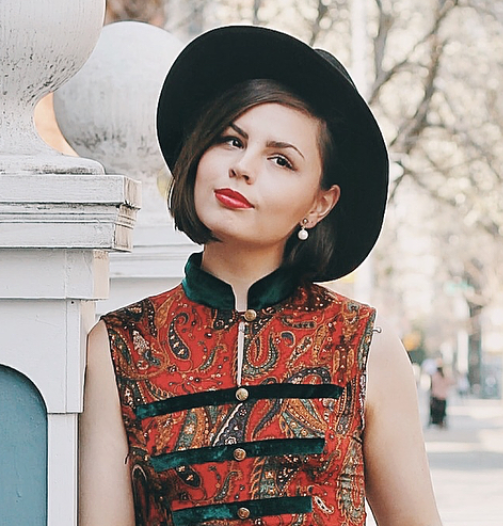 I believe I bought this jacket in the 8th grade; four years ago and even before I started my blog! 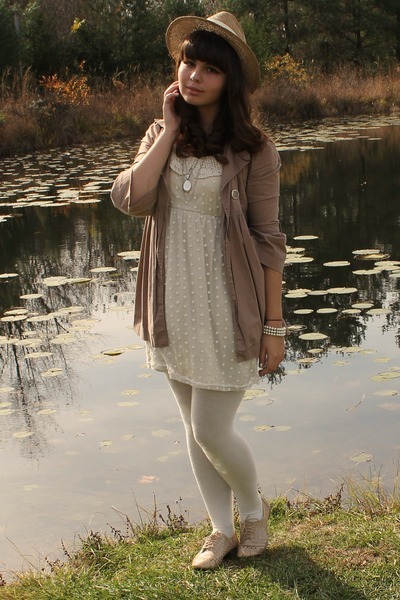 The oldest pictures (which are incredibly embarrassing, but still fun to post) were taken the first year of my blogging which was in the 10th grade. Funny how much my style and face (and hair!) has changed. I was thinking...wait, what's the remix item here? All the outfits looks so different! Then I was like, oh, the jacket! WOW. That is an amazing trench coat! As Maria said, you should definitely be working as a stylist for a magazine. you are just adorable! i especially love the one with your hair curled. just perfect!! I love this remix a lot! You can really see how your style is evolving and how you growing! Fantastic! I can't wait to see how you style it for college. These are all so cute, it's sad to think you got rid of some of them. Wait, don't tell me which ones! That little jacket really is fantastic. It's so versatile and perfect for spring! cool remixing! my favorite is the one with the leopard scarf! 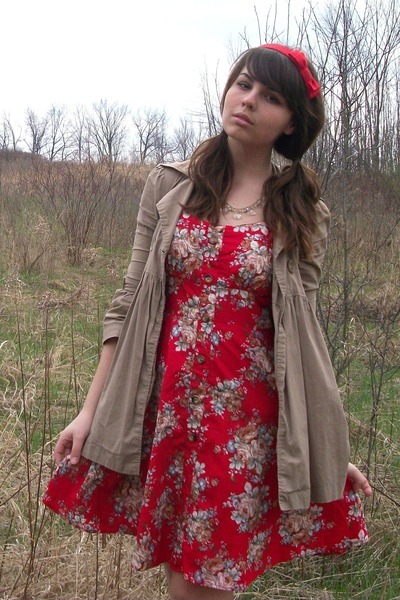 It really works nicely with red that trench! What a great way to show how you wear an item!